We’re here to say that spending countless hours on server management and not on your core business is not a smart choice, and you’re a smart person. Nothing embodies peace of mind quite like the words managed colocation, and here’s why. While choosing a life partner is one of the most important decisions you can make, choosing a colocation partner is just about as important for your business. Here are a few basic questions to help you select a colocation provider who has the resources and amenities required to service your clients and critical operations. 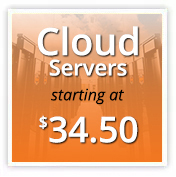 Server management is the maintenance and overseeing of a web server to keep it running in optimal condition. If you are thinking about freeing yourself from server hassles, let’s look at some of the benefits of server management outsourcing. One of the most important decisions for an enterprise is where and how they host their operations. Unfortunately, not all data centers are created equal. The following tips should steer you the right way in choosing a reliable data center that fits your enterprises’ needs.